The Kingsbury offers the perfect romantic lodging in Kennebunkport, Maine. 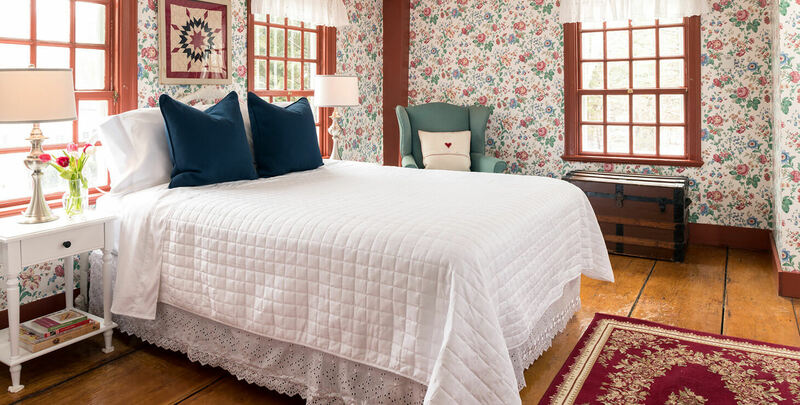 A large and airy second floor room at our Kennebunkport, Maine bed and breakfast is reminiscent of the Victorian period with its floral cabbage rose wallpaper and rich wood trim. Three windows fill the room with light while antiques and traditional furnishings give the room a cozy, warm feeling. This room is named after the Kingsbury family who owned the home for 140 years, having purchased it for $400 in 1839. 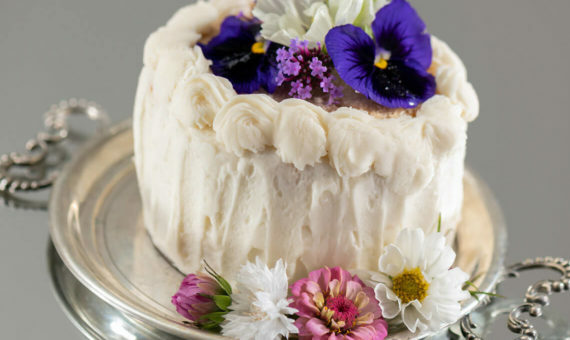 A 4 inch personalized cake for your special celebration.